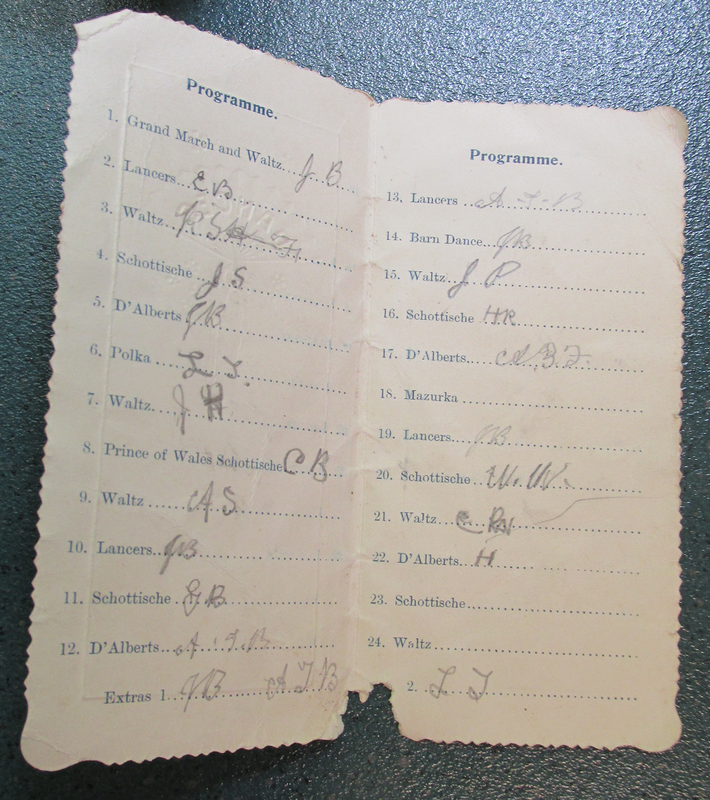 When they came to Aotearoa, Tangata whenua brought cultural practices with them. 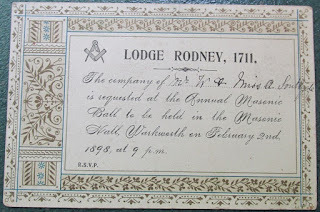 These continued to change and adapt to local circumstances. 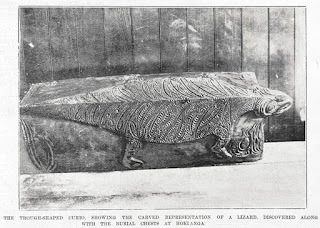 Te Ara has a story on Whakairo / Māori carving and its origins. This story states that by 1800 a ‘Serpentine’ (tuare) style developed in the northern regions of Aotearoa (associated with Hokianga, Hauraki, East Cape and Taranaki, and exemplified by Ngāti Whātua carvings). 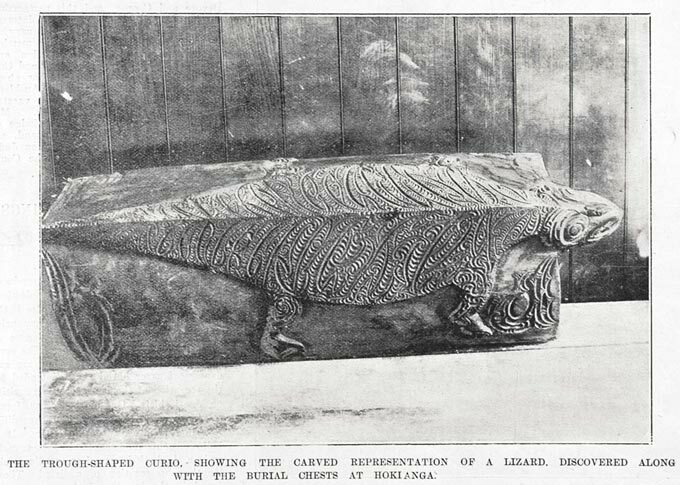 Ref: Auckland Weekly News, A trough shaped curio..., 11 September 1902, Sir George Grey Special Collections, Auckland Libraries, AWNS-19020911-12-3. 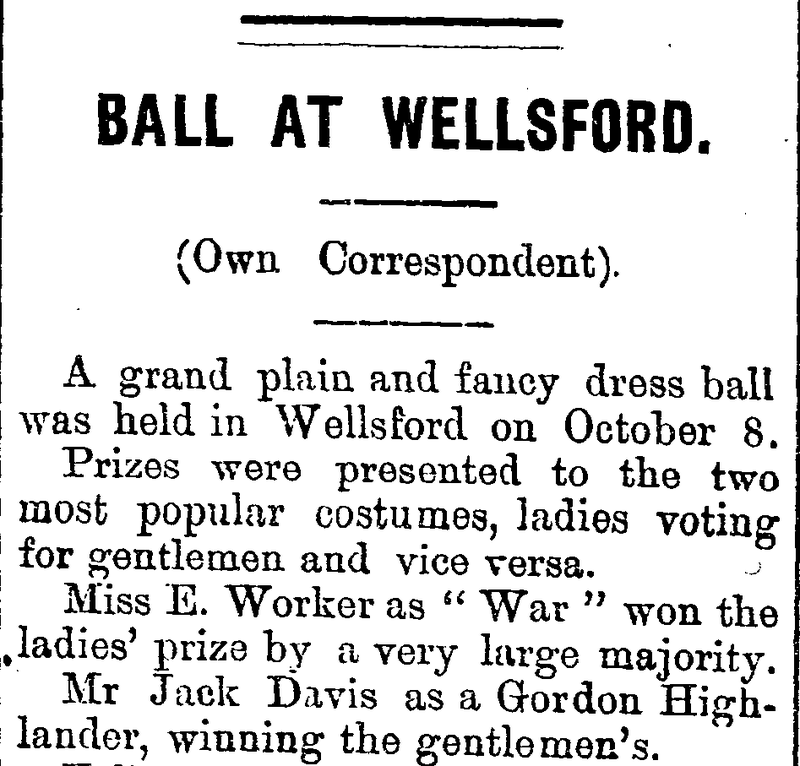 Life was particularly hard for men and women in rural areas in the mid-to-late 19th century. For many people, the main break from work on the land and in their homes was at church on Sundays. 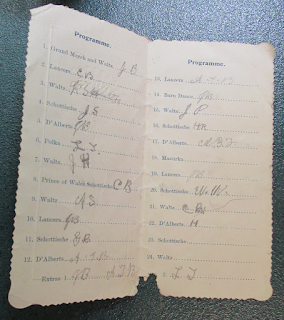 In the latter part of the 19th century there was increasing separation of leisure activities from work time. 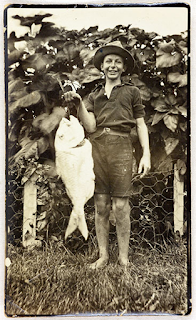 British settlers recreated many cultural practices from their home countries. 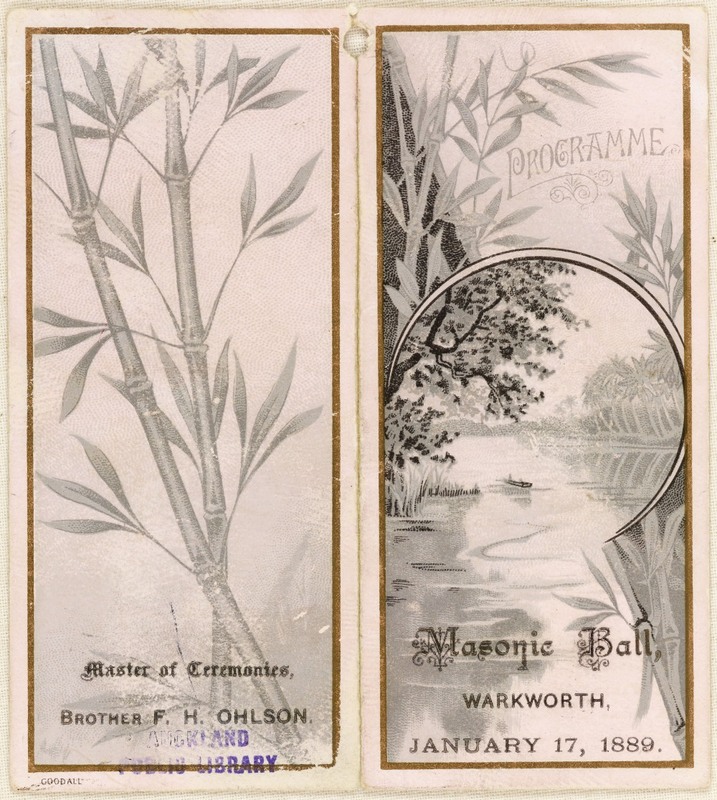 Ref: OCM Ephemera - 'Masonic Ball, Warkworth'. Master of Ceremonies: F.H. 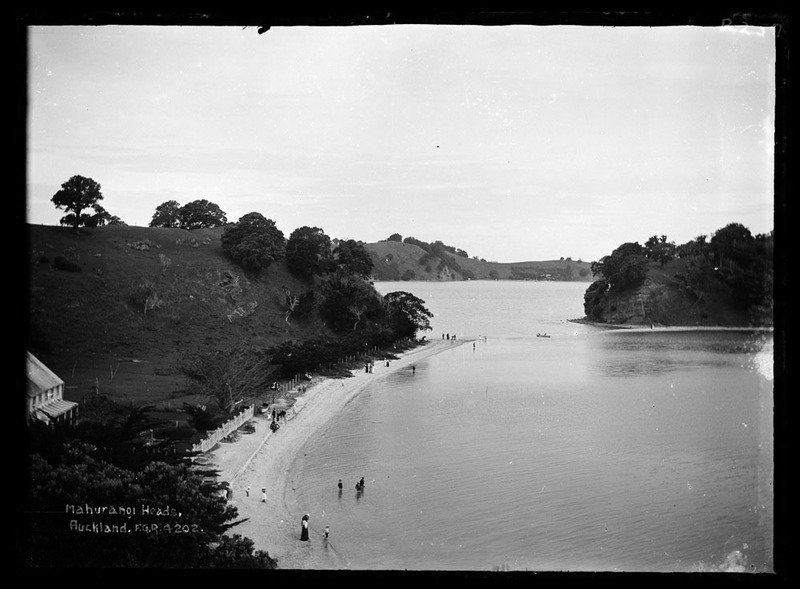 Ohlson, 17 January 1889, Sir George Grey Special Collections, Auckland Libraries. 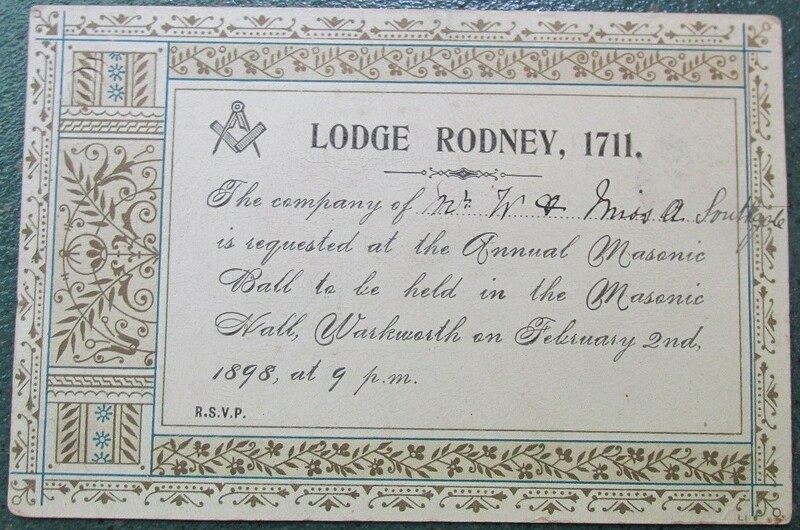 Ref: Invitation to Annual Masonic Ball, 2 February 1898, Warkworth District's Museum. Ref: Carolyn Skelton, February 2015, North Auckland Research Centre, Rodney Image Collections, Auckland Libraries. An older photograph of the hall can be seen on Auckland Libraries’ Heritage Images database. 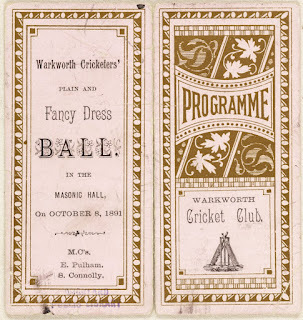 Ref: OCM Ephemera - 'Warkworth Cricketers' Plain and Fancy Dress Ball', 8 October 1891, Sir George Grey Special Collections, Auckland Libraries. 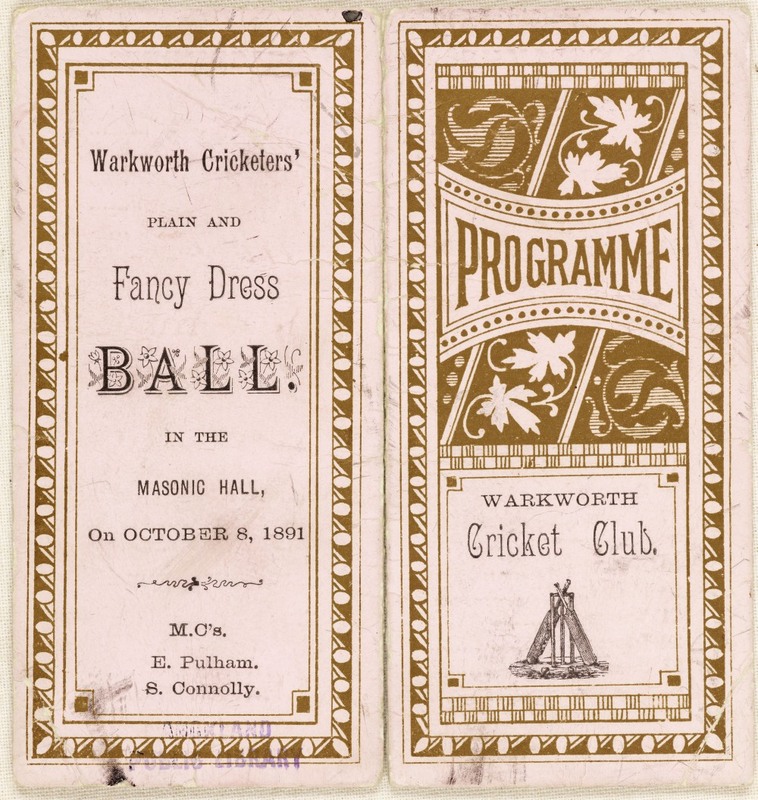 There is also a good selection of digitised 19th century Ball Programmes from Warkworth in the Old Colonists' Museum ephemera collection. 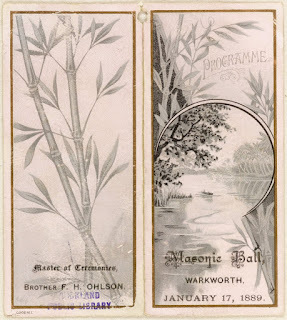 To browse them just perform a keyword search for 'Warkworth' on our Ephemera Index database. 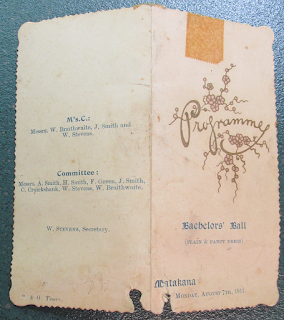 Ref: Programme for Bachelor's Ball, Matakana, 7 August 1911, Warkworth District's Museum. 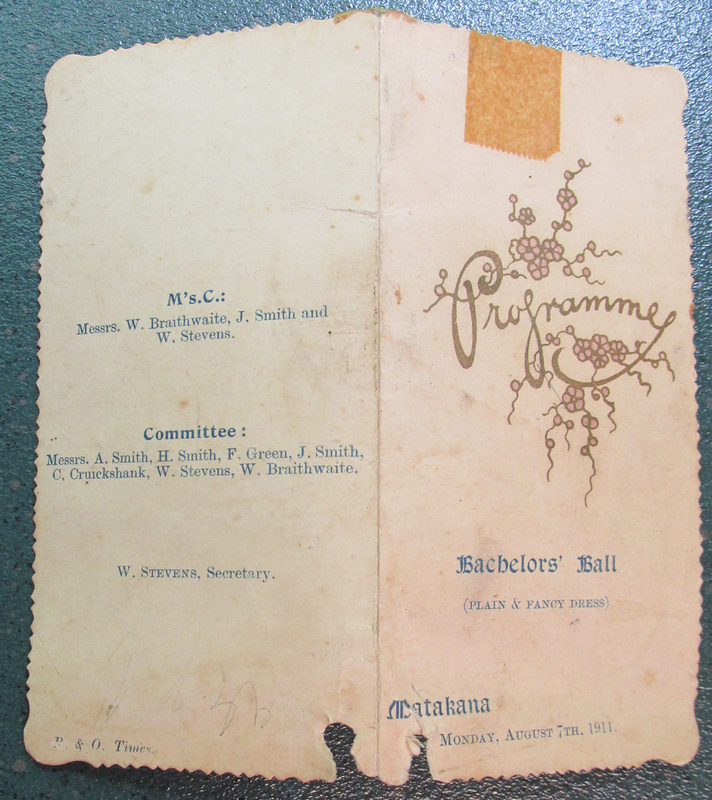 Ref: Dance card for opening of Ahuroa Hall, October 1911, Warkworth District's Museum. 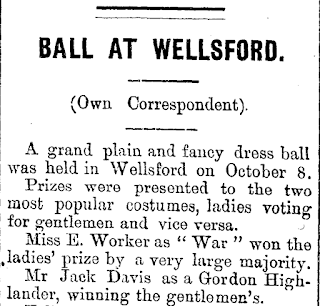 Ref: Excerpt from the Rodney and Otamatea Times, Waitemata and Kaipara Gazette, 21 October 1914, page 4. 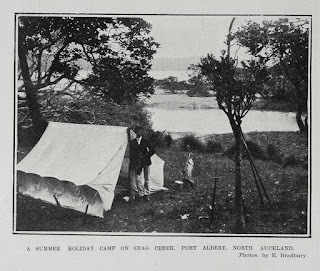 Northern beaches and rivers have long been the location for camping and leisure activities. 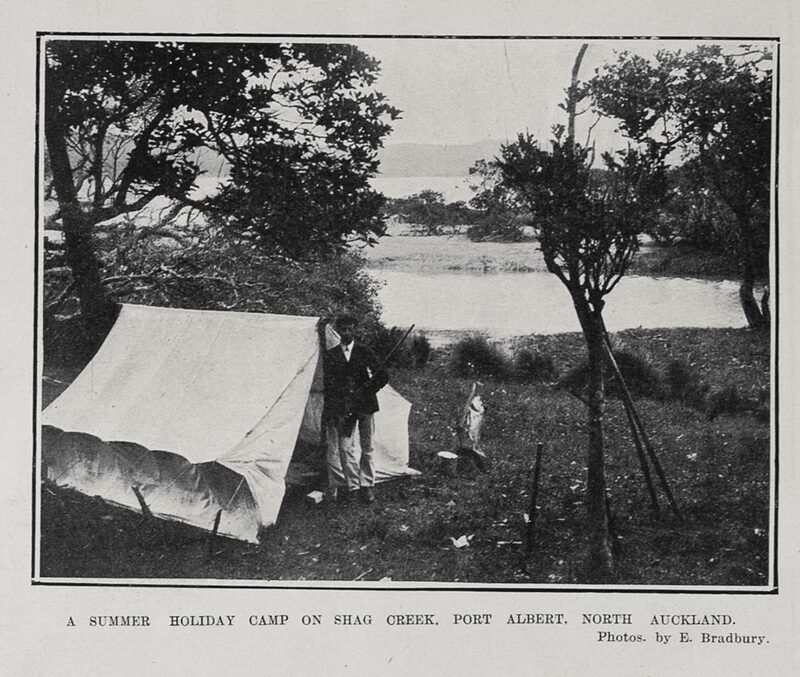 Ref: E. Bradbury for the Auckland Weekly News, A summer holiday camp on Shag Creek..., 15 February 1906, Sir George Grey Special Collections, Auckland Libraries, AWNS-19060215-14-3. Ref: W.H. 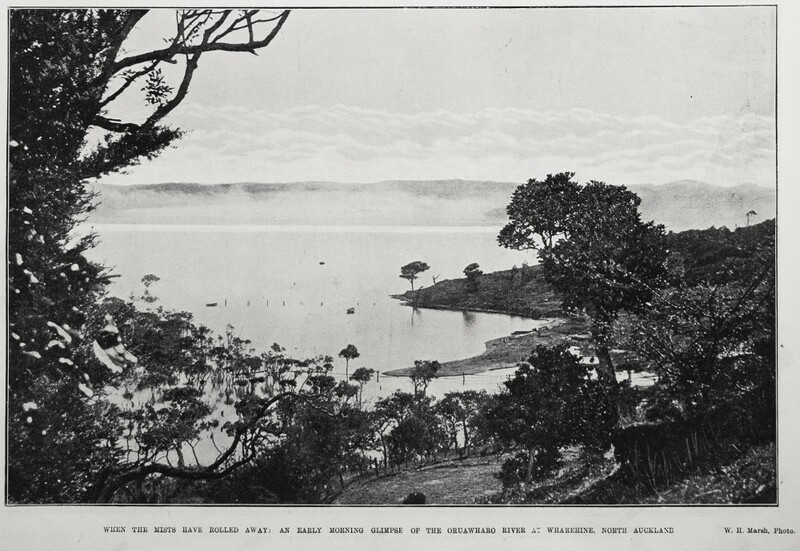 Marsh for the Auckland Weekly News, When the mists have rolled away, 5 June 1913, Sir George Grey Special Collections, Auckland Libraries, AWNS-19130605-7-3. Ref: Frederick George Radcliffe, Mahurangi Heads Auckland FGR 4202, c1914, Sir George Grey Special Collections, Auckland Libraries, 35-R257. Ref: John Mason Barr, Neil Barr with schnapper, "Beresford", Kakanui, Rodney, 1922, North Auckland Research Centre, Auckland Libraries, JMB0105.